The seasonally adjusted flu vaccination campaign has been running since October, with thousands of people across Devon having the jab. For healthy people flu is often worse than a cold – but for some, the effects are even more extreme. 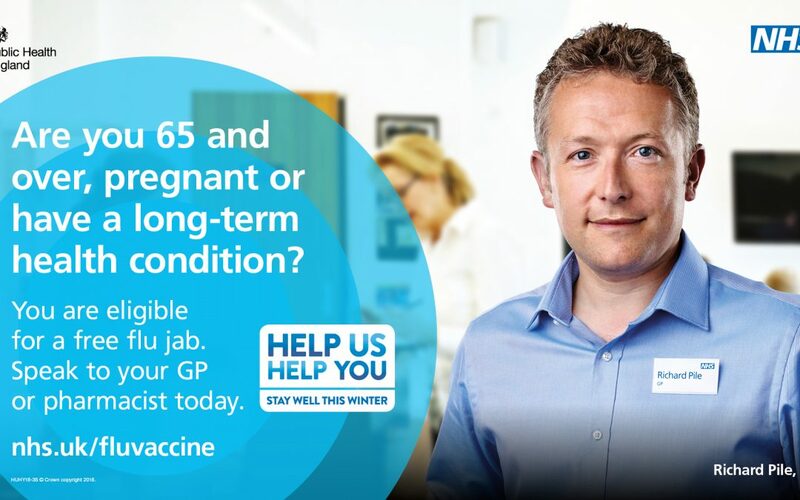 Older people, very young people, pregnant women and those with underlying disease, particularly chronic respiratory or cardiac disease, or those who are immunosuppressed, are at particular risk of severe illness if they catch flu. Dr Rob Dyer, lead medical director for Devon Sustainability Transformation Partnership, said: “It’s really important that people are vaccinated. They really shouldn’t put off getting it. “Those in the at-risk groups qualify for a free vaccine, because they are at much greater risk of becoming seriously unwell if they catch flu. In some cases this can lead to them being very ill indeed. Across Devon, the take-up of flu for people in some at-risk groups has risen since last winter, but the figures are still below the national targets. The latest number of over-65s having the jab locally is nearly 70 percent, but the national target is 75 percent. For pregnant women in Devon the take-up figure is nearly 48 percent, while the target is 55 percent. People who have the vaccination not only protect themselves, they can also help to stop the virus spreading. Dr Dyer added: “For those people who have flu-like symptoms, there’s usually no need to see a doctor.